Abstrusomyzus phloxae feeding on Apocynum, causing the typical leaf tissue yellowing that occurs on this host. So this is a genus that I named back in my postdoc days at the U.S. National Museum collection in Beltsville, Maryland. Manya Stoetzel was my supervisor and mentor in those days, and gave me more support and kindness through grad school and postdoc than I perhaps deserved. In the days of this Abstrusomyzus work, she gave me latitude to work on this relatively obscure group, probably because I had a lot of material and a strong case for a new genus even before I finished my Ph.D. Plus, A. phloxae appears to be an unusually polyphagous species, a characteristic worth knowing about from an agricultural perspective. In 2013 I discovered the sexual cycle of a species of Abstrusomyzus on roots and runners of Achillea millefolium near Boise, Idaho. I have identified the species as A. leucocrini, but I am starting to question the species boundaries that I wrote about when describing the genus. Twice now I’ve been contacted to help identify an Abstrusomyzus on Cannabis (marijuana). See below for a little more information. Some years ago I published some information on this species. Jensen, A.S. and M.B. Stoetzel. 1999. 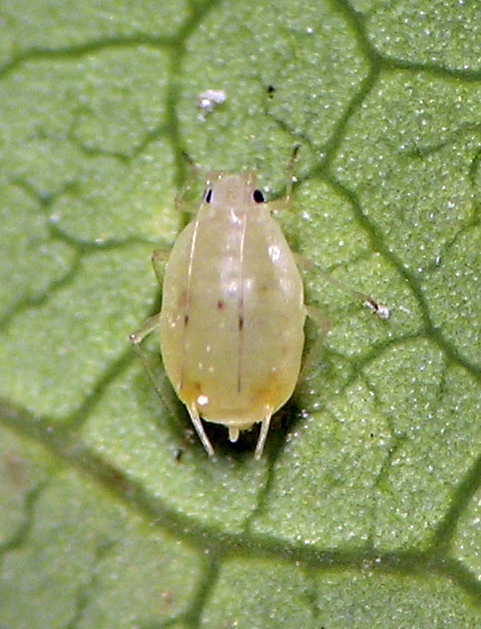 An examination of the North American aphid species currently placed in Ovatus van der Goot (Hemiptera: Aphididae) with the description of a new genus. Proceedings of the Entomological Society of Washington 101: 39-56. The aptera of A. phloxae on Apocynum. At the time I considered this to be one species, and it may in fact be only one. However, since that paper in 1999 I have collected for many hours in the western U.S. and the most common host I get this species on is Apocynum. On this host, the aphids live on the underside of the leaves and cause a pale discoloration visible from above. This is rather different from how this species lives on many other plants, i.e. 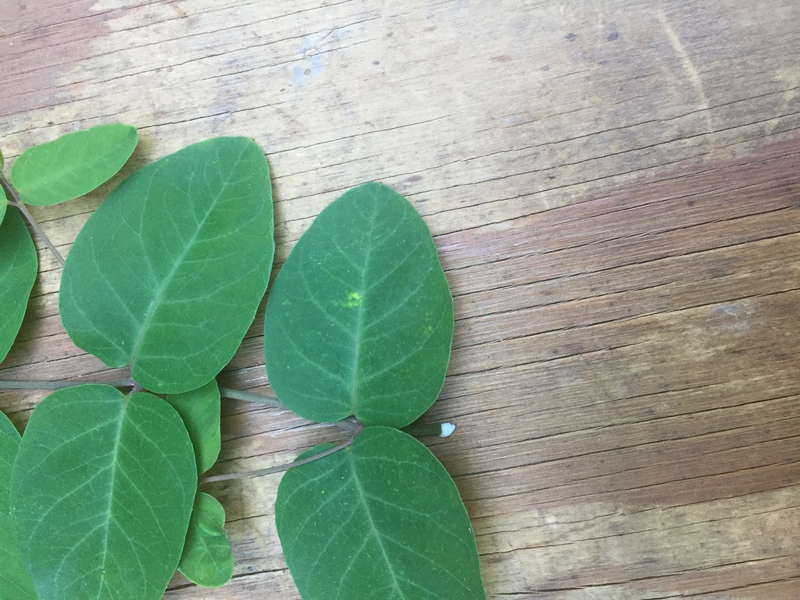 on the basal rosette leaves that are adjacent to the ground. In 2018 I discovered yet another difference: alate males and oviparae living together on the undersides of typically discolored leaves. This seems to indicate a holocyle on this plant; collection of a fundatrix would seal the deal. Such specimens will be top of my list of targets for spring of 2019. It’ll be interesting to see if the aphid begins its season on the plant’s underground parts. In 2018 I was twice contacted to help identify A. phloxae collected from Cannabis (marijuana). In one case it was found on Cannabis in an indoor grow facility in January. The other case it was from an outdoor grow operation in August. 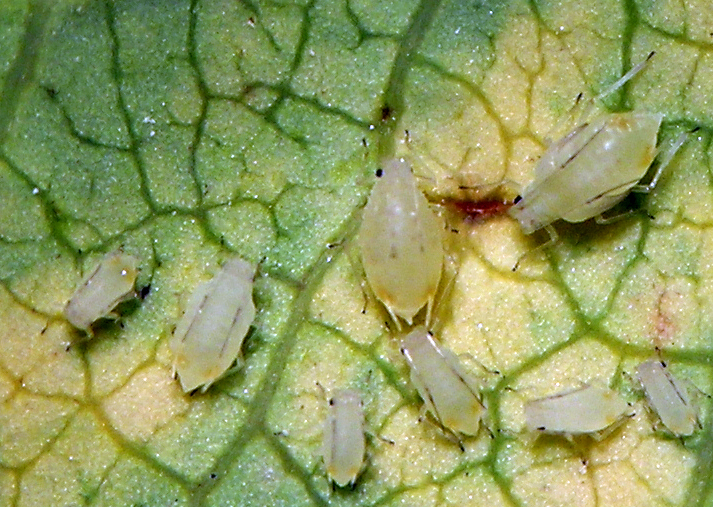 I have to chuckle a bit about this because when I wrote about this species back in 1999 I predicted that its polyphagous nature may lead to it being a crop pest some day. Funny that the first crop pest samples I’ve seen were from marijuana! 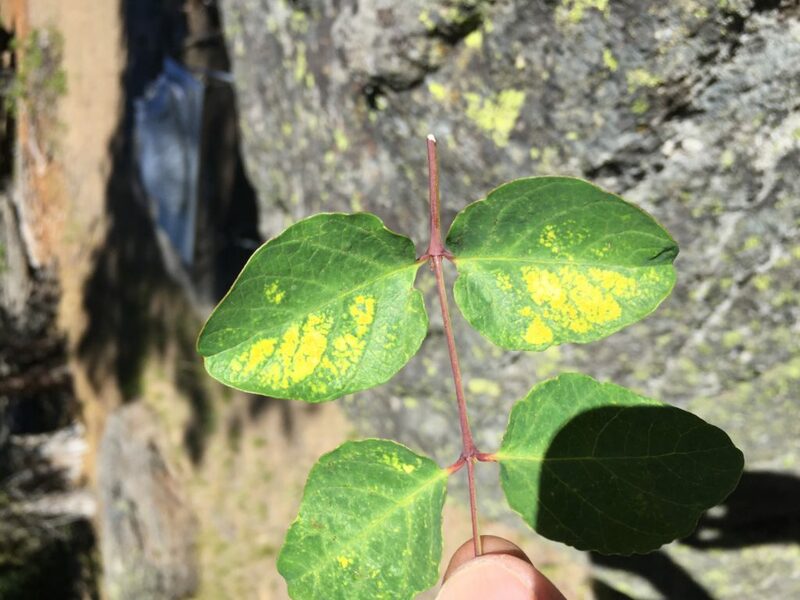 Foliar discoloration on Apocynum caused by Abstrusomyzus phloxae. Here, a colonizing alate vivipara had just recently settled. Severe foliar damage on Apocynum caused by A. phloxae.